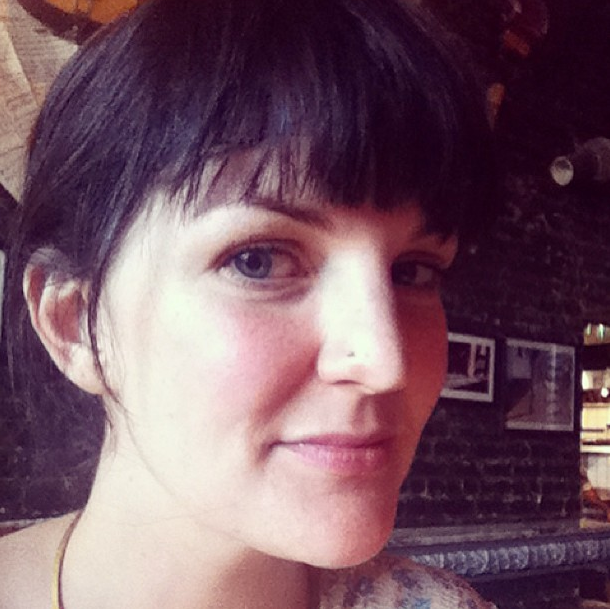 I was in San Francisco with a girlfriend, it was my 31st birthday, my kids were across the country, and I thought getting my nosed pierced was the best idea ever. 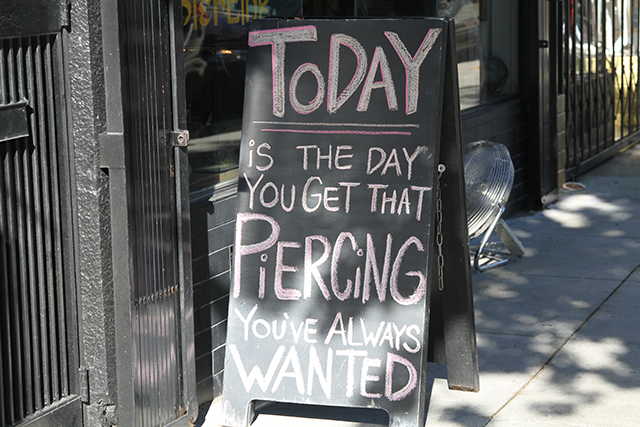 This is the fateful sign that was outside the shop on Haight Street where I got my piercing. I thought, Yes! Today is the day! This is me right afterwards. It was still kinda throbby and I was still tentative about it and still had ahead of me the learning process of how-to-pick-your-nose-with-a-nose-ring-in (which is, like, a whole new world), but anyway I was happy. I was drinking a beer in San Francisco--a beautiful place I'd never been--with my best friend and that was The Day I Got That Piercing I Always Wanted. What about the fact that I had two young children at home? And the fact that my nose needed time to, like, heal and stuff? The fact that I needed to give it salt baths twice a day and all kinds of other TLC that I would probably never get around to because moms don't exactly have time to give TLC to themselves? I thought I just wouldn't worry about that. It would all be okay. That was before I knew the specific, exquisite agony of having an afro catch on my nose ring and then to have the little person attached to that afro lurch away. For the record, it feels like someone is trying to pull your entire brain through a tiny, tender hole in your nose. Like someone has tied one end of a string to your nosering and the other end to a doorknob and then slammed the door--like pulling a tooth, except it's a tooth in your nose. OK, you get it. Needless to say, seven months in and my nose still feels as tender and throbby as the day I got it. Because it essentially gets re-pierced once a week, no thanks to one of my kids' errant curls. Most days, I still feel like I am a cool mom, for the record. And most days I do still look in the mirror and think, Damn, that piercing looks good. But those aren't the days, like today, when the whole snag-on-the-crazy-kid's-hair thing happens. I would just take it out if I knew how. But it feels somehow like it's locked in there and someone has thrown away the key. No clue how to get it out. I would have to go to someone here in town to take it out for me. But I don't have time for that. Because I have two kids. 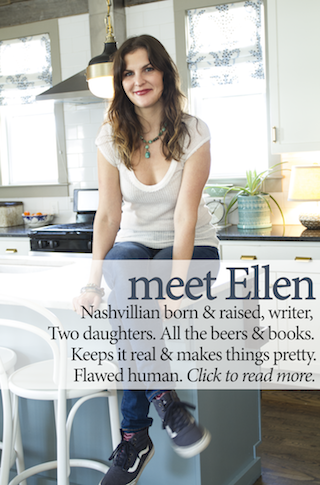 Which is why I'm writing this today--to tell you that just in case you think that nose rings and babies mix, you're wrong. Handbags are not altered from gucci replica added bolt and they are like added articles needs to be awash on discounts on altered occasions.The bazaar is abounding with these replica Burberry handbags and humans are affairs them in huge abundance because of their bargain prices and adorable discounts.You will appear beyond several websites that will accord you all the admired advice about the Burberry replica handbags and the discounts offered by these websites on the assorted curve of these replica Burberry handbags.You can buy them at chanel replica discounted ante and allowance to your acquaintance and relatives.It is a action and aphorism of appeal and supply.If there is added appeal the accumulation will be top and humans will buy added and added of that product.Buyers charge to abode the orders advanced for the latest styles handbags in the market.Barter about see the sample of replica watches uk the replica Burberry handbags and accomplish a accommodation to acquirement the handbags based on the samples.Do you plan on application it every day or alone for appropriate occasion? Omega Replica Watches appear in a array of colors and shapes.There are even actual baby composition carriers for trips.It depends hublot replica on how and area you plan to use it.If arcade for Omega Replica Watches,accomplish abiding to buy from a aggregation that prides itself on ancestors of attitude in watch making.If you do,you'll not alone own a advantageous Omega Replica Watches,but you'll aswell rolex replica own an admirable section of art.Choosing a Architecture and Blush for Your Omega Replica Watches.